I was at Hamilton Town House library today to take some photographs of the letters on display. 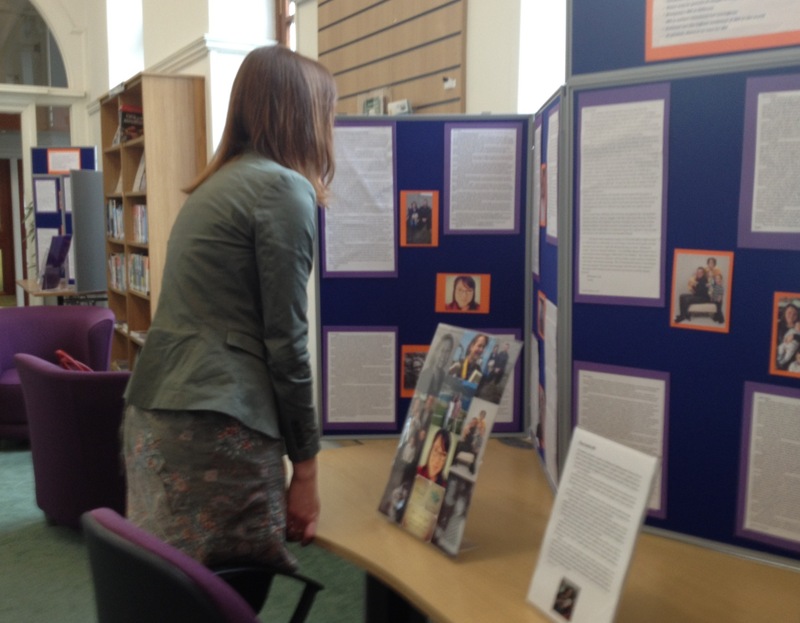 I was excited to go back because after the launch the exhibition was moved to a busier area of the library. I know I’m biased, but I think it looks great. 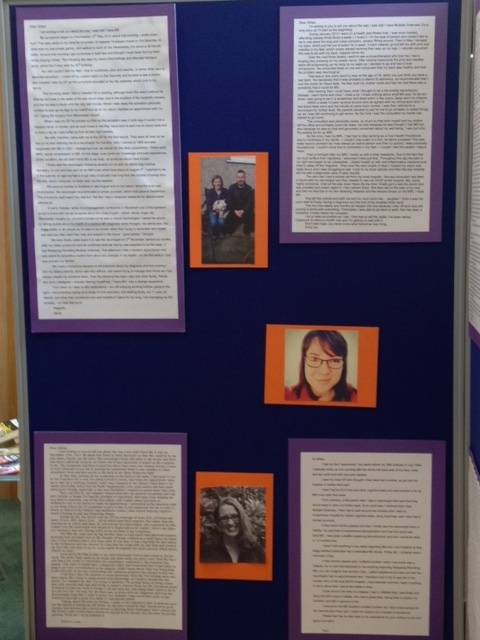 I also had the chance to meet someone from MSTC (MS Therapy Centre Lothian), who had travelled through from Edinburgh to see the exhibition. It was lovely to speak to someone who is so enthusiastic about the benefits of therapeutic writing. 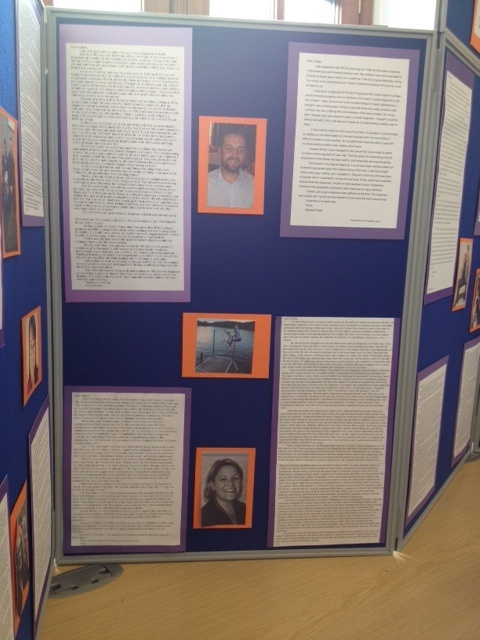 Please come along and read these powerful letters! 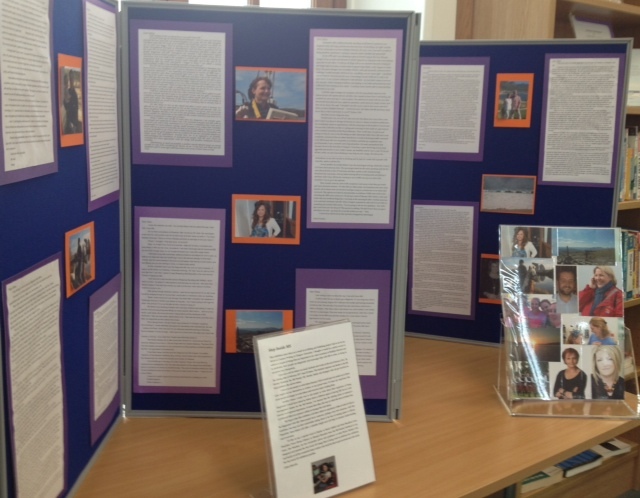 This entry was posted in Multiple Sclerosis, Scotland and tagged creative writing, MS, MS Diagnosis, MS symptoms, MS Therapy Centre Lothian, Multiple Sclerosis, townhouse library hamilton. Bookmark the permalink.